I have been staying at the Colonial Properties for at least 8 years now. They have always been polite and helpful with any questions or reservations that me and my family has made. This year I made my reservations on line. Everything was simple to do. Thank you Colonial Properties for making it such a GREAT PLEASURE to stay with you!!! This was our 2nd stay using Colonial Properties cabin rentals and we have had the best experience each time and plan to return again this year to renew our vows. The cabin was spotless and exactly as pictured. We have recommended this to family and friends and they too have had amazing times. I would definitely recommend Colonial Properties for any cabin rental. Our cabin was very clean and beautiful. Driveway was a little tricky but no problem. We had no problems checking in and the service was great, kind and helpful. I will definitely be using this company again for my vacations when visiting the Smokies. I have stayed at several different locations provided by Colonial Properties. They were all wonderful. Very clean and beautiful. Will continue to use them in the future. 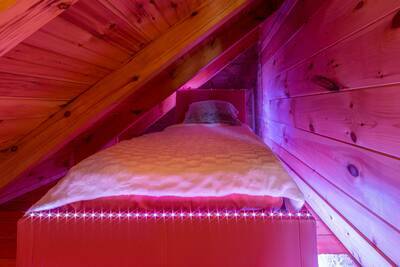 A magical and unforgettable vacation begins at one of our breathtaking Gatlinburg Cabin Rentals. Known as the gateway to the Great Smoky Mountains National Park, Gatlinburg is the perfect place to enjoy a relaxing getaway with family and friends. Our cabin rentals in Gatlinburg are conveniently located near downtown and all of the wonderful attractions of this picturesque mountain town. While staying in a Gatlinburg Cabin, you’ll have quick, convenient access to the main Parkway, Ripley’s Aquarium of the Smokies, Rocky Top Sports World, the Gatlinburg Space Needle, Ober Gatlinburg Amusement Park and Ski Resort, and hundreds of other amazing things to see and do while vacationing in the Smokies. 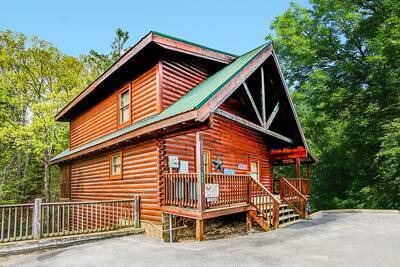 Our wide selection of hand-picked Gatlinburg cabin rentals are available to fit any need or budget. Choose from our amazing selection of romantic honeymoon cabin rentals to our large group cabins, and everything in between. With 24 hour customer service available, and a superior housekeeping and maintenance staff, you’re certain to love everything about staying in our beautiful cabin rentals in Gatlinburg, Tennessee. We look forward to having you as our special guest! Loads of fun and exciting mountain adventures await you at one of our stunning Pigeon Forge Cabin Rentals. With an array of attractions and beautiful mountain views at every turn, your stay in a cabin in Pigeon Forge will definitely be an unforgettable experience. With our amazing selection of Pigeon Forge Cabins, you’ll find the perfect vacation rental to meet your needs and budget. Choose from a great selection of cabin rentals near Dollywood, the Island, the Leconte Center, The Ripken Experience Tournament Baseball Facility or one that is close to town, near all of the exciting things to see and do in Pigeon Forge. When staying with us in a Pigeon Forge cabin, you’ll experience the very best customer service and exceptional attention to detail. Plan your amazing Pigeon Forge vacation in the Smoky Mountains today! Spring is one of the most beautiful times of the year to visit the Smoky Mountains! With the mountains coming alive with vivid spring flowers, and beautiful wildlife awakening after their winter slumber, you'll love every minute of your Smoky Mountain spring cabin vacation. We offer cabin rentals with mountains views, nestled alongside the banks of a river, and even cabins located near the Great Smoky Mountains National Park and Cades Cove. If you're planning a relaxing cabin vacation this spring to either Gatlinburg or Pigeon Forge, Tennessee, you'll love our great selection of log cabins to choose from. If you need assistance with planning your spring cabin rental vacation, contact a vacation specialist at 1-800-371-0341.